As MGM's pre-packaged bankruptcy plan heads for final approval by the courts, the studio eyes a November 2012 release of the 23rd James Bond movie (with a partner funding production) and a self-sufficient operation releasing 007 adventures every two years thereafter. After voting for their pre-packaged bankruptcy plan on Friday 29th October, MGM filed Chapter 11 paperwork at a Manhattan federal court on November 3rd after rejecting a takeover bid by Lions Gate Entertainment Corp (click here to read the official document). The creditors overwhelmingly supported the plan to extinguish about $4 billion of debt in return for equity in the reborn studio and install managers Gary Barber and Roger Birnbaum from Spyglass Entertainment Group to helm the company of which they will own 1%. The plan also wipes out the equity from the $5 billion acquisition of the studio in 2005 by a consortium led by Sony Corp.
“By sharply reducing MGM’s debt load and providing access to new capital, the proposed plan of reorganization achieves these goals” of improving the company’s prospects, said Co-Chief Executive Officer Stephen Cooper. Carl Icahn, who owns 18% of MGM's debt, separately mounted a hostile takeover of Lions Gate, was sued by the company on October 29th for allegedly "plotting" a merger of Lions Gate with MGM that would boost the value of his holdings in the two companies. He denied the allegations. Icahn said in a statement he reached an agreement with MGM to support its prepackaged bankruptcy. He will have the right to elect a director to MGM’s board after the bankruptcy. "I am pleased that we were able to obtain an agreement to make changes to the MGM prepackaged plan that allows me to support it and enables the company to avoid a potentially costly and disruptive bankruptcy process," he said. At a hearing on Thursday 4th November in federal bankruptcy court in Manhattan, Judge Stuart Bernstein set December 2nd as the date for MGM to seek final approval of its reorganization plan. The studio said it expects to raise approximately $500 million in financing to fund operations, including production of a new slate of films and television series. MGM plans to spend as much as $125 million on operations in the next 15 weeks. MGM said it has already spent $20 million to fund production of films based on J.R.R. Tolkien’s novel, “The Hobbit,” in a co-production deal with Time Warner Inc.’s New Line Cinema, and may need to spend more. 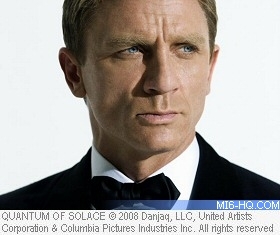 New James Bond films may be released every second year starting in November 2012, MGM said. It aims to own 50 percent of Bond 23, due out that year, with an equal partner paying all of the production costs, it said. Later 007 adventures would be wholly owned and funded by MGM, the company said. Two potential suitors for Bond 23 financing and distribution are Paramount and Sony. Spyglass chiefs Gary Barber and Roger Birnbaum, who will be taking charge of production at MGM as part of the restructuring deal, are close to Paramount who co-funded the smash-hit "Star Trek" reboot. Sony distributed the last two James Bond outings under the agreement reached when the company was part of the consortium that took over MGM in 2005. Sony have made it public that they would love to be involved again, but it looks like a bidding war between rival distributors will be taking place before Bond 23 is officially green-lit. 2012 marks the 50th anniversary of the EON Productions series of James Bond films. Assuming Daniel Craig honours his contract for a third film, it would also be the longest gap between Bond movies without a change in the lead role. With both the "Batman" and "Spider-Man" franchises duking it out at the 2012 summer box-office, there is little chance of Bond 23 being pulled forward. The release schedule around the holiday season in 2012 is light, with the only two major releases ("Monsters, Inc. 2" and "The Twilight Saga: Breaking Dawn Part II") penciled in for November 2012.